How can I contact Proskins? Email any questions or queries you have to info@proskins.co.uk. We'll do our best to reply to your email as quickly as possible but it may take up to 48 hours for you to receive a response. info@proskins.co.uk including your name and order reference number and a member of our staff will assist you. How should I wash my Proskins products? All of our products are machine washable up to a maximum of 30 C. Do not use fabric conditioner. Can I put them in a dryer? No, we strongly recommend that you do not tumble dry any Proskins product. The fabrics we use do not hold water so a little time on a line or a warm radiator will quickly dry your product(s). Can I iron my Proskins? No, we don't recommend you iron either your Proskins top or leggings. Our garments are constructed using high stretch materials so any creases will naturally fall out. How many times can I wash my Proskins? No amount of washing will misshape your Proskins garment(s). The micro capsules in Proskins Slim are present for 100 washes. Can I make alterations to my Proskins product(s)? No alterations should be made to any of our products. If you receive the wrong size we recommend you return the item(s) to us (they must be in an unused/saleable condition) and reorder the correct sized garment(s). What size product should I order? Choosing the correct size Proskins garment is important because it ensures you receive the maximum benefits. Our size charts can be found here. Please note if you are in between sizes we recommend you purchase the smaller size. How should my Proskins product fit? Your Proskins product should be well fitted. However, it should not be restrictive or so tight that it hurts your body. A great number of celebrities and sports stars use Proskins products daily. When should I wear my Proskins? You can wear your Proskins products in many different ways. Before, during and after physical activity. In the workplace. Out shopping. At home. In bed. When travelling. Can I wear my Proskins under/over clothing? For the best results we recommend that aside from underwear Proskins products should not be worn over clothing. Which Proskins product is right for me? Improve the appearance of skin in 28 days. Discover the effectiveness of our patented micro encapsulated compression garments. Independently tested and guaranteed for 100 washes. Designed to reduce cellulite, firm and moisturise the skin while you move throughout the day. Containing caffeine to promote fat destruction; vitamin E to prevent the effects of ageing; ceramides to restore and maintain the skin's smoothness; and retinol and aloe vera to moisturise and increase the firmness of the skin. 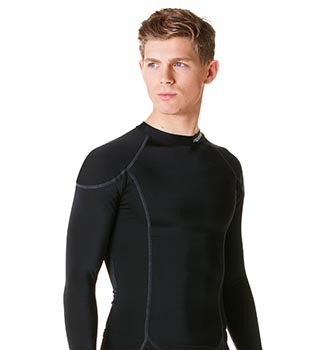 The original baselayer deigned and manufactured in the UK. Since 2005 the experts at Proskins have been driven by a passion to create innovative and high quality sporting garments that improve the performance of all athletes everywhere. Constructed using the latest yarn technologies and performance enhancing fabrics, whatever your sport get the edge on the competition. We take very seriously our responsibility to provide athletes with a product that can help them achieve their dreams. Sometimes it's small things make a big difference. Discover the pro's secret. 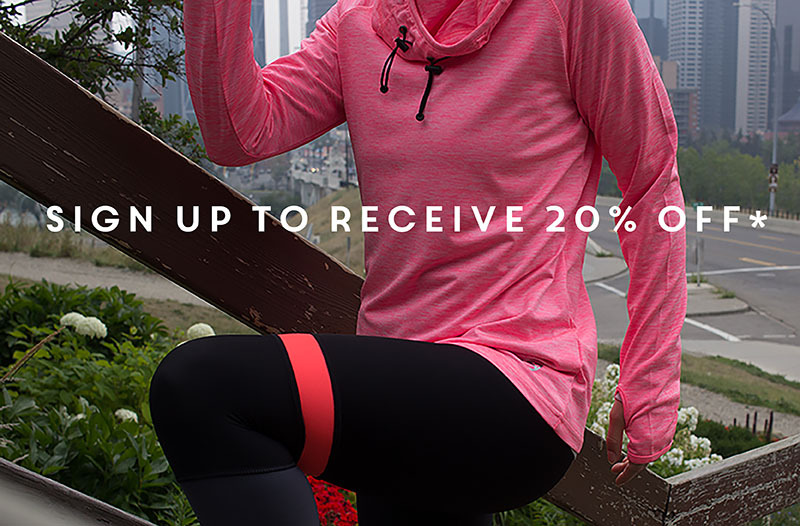 Perfectly fitting recovery leggings guaranteed. Expertly crafted to fit every body shape, increase circulation and remove lactic acid to help you recover quicker and be back to your best faster. Built for riders. A comprehensive set of world class technical garments, refined and developed in conjunction with leading names in motor sport, featuring our unique micro fibre technology, performance enhancing fabrics and patented cooling system to ensure moisture is quickly wicked away from the skin. Proven and tested on the track, by real professionals, to ensure that you get the ultimate riding experience. Is there any proof that Proskins products will help me? Yes, there are numerous scientific studies that have been carried out that demonstrate the benefits of wearing compression clothing before, during and after activity. Proskins compression technology has been independently tested at Loughborough University Sports Technology Institute. In conjunction with Nurel our international yarn partner a series of tests have been carried out that verify the effectiveness of the micro capsules found in Proskins Slim. How do Proskins Slim work? Proskins Slim aide three of the main causes of cellulite by improving circulation and blood flow, increasing lymphatic drainage and reducing fluid retention. By using, as a starting point, the technology that we developed for top level athletes Proskins have, after a lengthy period of research and development, created a skincare legging that poses a significant challenge to the leading anti cellulite products in the market today. Millions of tiny micro capsules embedded into the yarn help smooth and shape your skin skin as you move throughout the day. Containing caffeine to promote fat destruction; vitamin E to prevent the effects of ageing; ceramides to restore and maintain smoothness; and retinol and aloe vera to moisturise and increase the firmness of your legs. For the first time fabric technology has allowed us to create a product that works alongside your body to pamper and indulge your legs. So comfortable you wont want to take them off. What are the ingredients found inside the Proskins Slim micro capsules? Caffeine – A renowned active slimming agent that activates micro-circulation and promotes fat destruction. Retinol – A skin regenerator which stimulates collagen, giving a youthful appearance to the skin. Vitamin E – An antioxidant that helps the skin appear young and fresh. Aloe Vera – A plant extract that makes the skin feel smoother and softer. Where are Proskins products manufactured? All Proskins products are manufactured in the UK. How long should I wear my Proskins Slim every day? We recommend that to get the best results you wear you Slim leggings for 8 hours a day. How long will my Proskins Slim product stay effective? The micro capsules inside the Proskins Slim garments will last for 100 washes. How do I return my product(s) for a refund or an exchange for a different product? In order for you to receive a refund or an exchange your Proskins product(s) must be returned to us as new, in an unworn condition. Any product that does not meet this criteria will not be eligible for either a refund or an exchange.